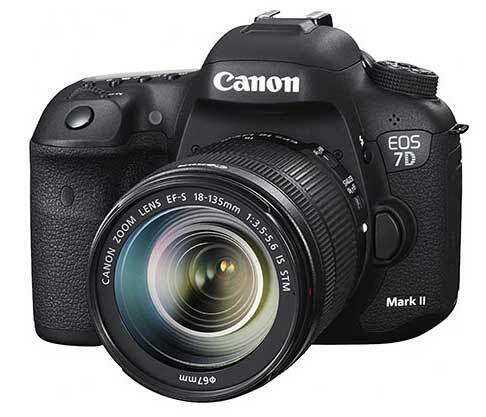 The Canon 7D mark 2 (due for launch at Photokina 2014). The EOS 7D dates from late 2009, making it one of the older cameras in Canon’s current DSLR line up. New firmware for the 7D in August 2012 adds a fair bit of functionality and probably extends the lifetime of the existing model quite a bit. See the EOS DSLR timeline below for more The 7D is currently the highest level 1.6x crop sensor camera in Canon’s range, and with the demise of the 1D Mk4, it’s the best if you don’t need or want a ‘full frame’ sensor. Full 7D specs and other technical data are listed at the bottom of this page. It’s worth noting that how many AF points you have depend very much on the lens, and is not simply related to the max aperture. 29th Boring I’m afraid, but nothing I’ve seen convincingly changes the specs below. 25th Once again – more confirmation of the specs appearing at CR (there are some minor details that still seem uncertain) Thanks to everyone sending in info/comments. 23rd We told [thanks] the new specs at CR are pretty solid and represent real pre-production info. Is this that point in the run up to announcement where real product info finally starts appearing? Truth is, Canon runs a tight ship and these specs are actually the first that I’d be prepared to put a [small] bet on. Dual Pixel CMOS AF, 65 AF points “All Cross-type”. Dual cross on the centre point. The only info we’re seeing (below) is coming from dealer related sources, so experience requires the usual hefty pinch of salt. Several sources have commented that this is one of Canon’s best ‘hidden’ announcements ever and that many previous testers and reviewers are not in the loop this time. We’re told (thanks) that the 7D replacement is firmly aimed at top end sports and nature photographers with AF and burst performance exceeding the 1D X in some areas. Video is also the best yet in a crop sensor DSLR. 12th A new Canon patent (see main rumour page) points to combining Phase AF from the sensor with conventional Phase AF for better burst performance. 11th 7D2 rumours are getting a bit of a bump – only to be expected with the suspected announcement less than a month away. 30th In what seems a concerted leak, info about Canon releases in September has been popping up all over the place. A 7D2 with significant 1D X influence and sensor developments, and some zoom lenses should appear in the first week of September. Canon India’s FB page is hinting at a long lens – the 100-400 seems to be the favourite. Note that it is still available from other sources, but this is to be expected as stocks dwindle. 7th At CR there is a note that the Canon NDAs (possibly for the 7D2) end at midnight on Friday, September 5, 2014 EST. 5th Thanks for all the feedback – I’m minded to agree that it may just be overzealous use of a rain cover. BTW… Most of the time I put into this site is about the more serious stuff, such as the review I’ve just finished for the Topaz Lens Effects plugin. If you’re new to the site, the rumour pages are a small part – see the main articles page for more. The guy is always in the same position, towards the corner flag on the far side of the pitch (but can be at either end). Perhaps time to record in HD? 29th A Canon viewfinder patent appears (main rumours page) that would fit in with suggestions that VF improvement is a key feature of the upcoming 7D replacement. 19th What’s Canon’s next big sensor technology jump for sensors? Canon have several multi-layer pixel patents and I’m sure that the dual Pixel AF is likely to figure in it somehow. Better everything – not quite 1 series, but more pro. Oh, and a March 2013 release date. WiFi & GPS will be internal. As I’ve noted before with other cameras, there is a distinct change of rumour types (and sources) once things get a bit more ‘real’. No details yet of what’s coming, but it’s no coincidence that the Nikon D300S has been moved to the ‘retired’ category on Nikon US’s web site. We’ve long been told that announcements of replacements for the D300S and 7D would find themselves quite closely tied together. 5th We hear [thanks] from Germany, that there are several Canon Pro dealer events scheduled in July covering announcements in August. 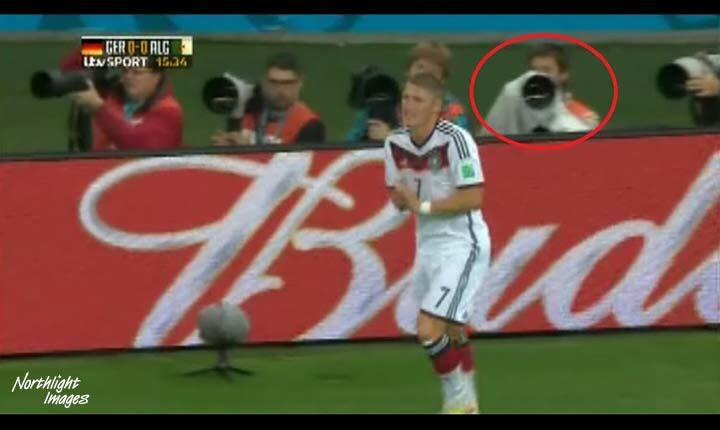 22nd Keep an eye out for the 7D2 in use at the upcoming world cup in Brazil [CR] Still on for a Q3 announcement. 3rd I see that a high end D9300 [D400] crop sensor camera is mentioned [NR] – why note that here? We’ve long been told that Canon and Nikon were both holding back on replacing the 7D and D300s until the other made a move. 2nd May is suggested for a 7D2 [CR] – as yet we’ve seen no detailed specs beyond what have been floating around for a few months. Once we get within 4 weeks of any announcement, I’d expect to to see a distinct change in the ‘style’ of information appearing. It’s worth noting that the 100D and 700D are now both just over a year old. All new sensor, CF and SD cards, lots of software features and a ‘hybrid’ viewfinder – nothing solid yet though and I’m minded to agree that it isn’t on its way soon. 28th Thanks for all the feedback! If you’ve ever wondered about getting a large printer, I’ve recently written an article about what I think are key questions and issues to consider: So, you want to get a large format printer? PS If you’re new to this site, welcome!, the rumour pages are but a tiny part of it, so please do have a browse in the articles/reviews, which are much more interesting from my own POV. 27th Since yesterday we’ve had several comments saying that the 7D2 was a Q2 [Apr/May/June] launch, not Q3, including a comment attributed to a Canon rep in December that “the 7D successor is not too far away”. 26th We’re told [thanks] that the 7D2 is still some time off (July/Aug pre photokina suggested) and that the next Canon announcements will be video related. The 7D is apparently still selling well and the ongoing lack of competition from a D400 (or the much more likely D7200) is keeping some pressure off a replacement. Given that there have been no more solid leaks to build momentum, I’m thinking we’re not seeing the 7D2 in March. 13th Yesterday’s 7D info comes from a Panasonic PDF documment for the GH4 – only one mention of the 7D sucessor, but an awful lot about the GH4. 12th Some ‘7D Successor’ specs appear in a competitive analysis from another camera manufacturer – do they know, or is it guesswork? Then again how would rumours propagate? For something a little more factual – see this interesting new article from Canon about the 1DX and wonder what will appear in a 7D followup? 29th We’re told [thanks] that the replacement for the 7D will be a 7D mark 2 and is slated for a Q2 release and Q3 availability. A lot of upcoming Canon camera kit (lenses, cameras and video) has been sent to Sochi (winter olympics)where there are a series of demo events planned for some of Canon’s ‘favoured customers’. It was also mentioned that quite a few aspects of functionality were still ‘up for grabs’ and that any specs leaked out over the next month or two would still be very provisional. I suppose that this timescale would fit with the test related comments from earlier this month, but we’re still not seeing any details, which from past experience, only tend to come a few weeks , at best, before actual announcements. 14th We’re hearing [thanks] of supply shortages for the 7D around Europe. 11th Is the 7D mk2 finally on its way? The comments (supposedly via someone testing in December) said that speed, AF and high ISO performance were the key areas where feedback was being sought, and that the camera was very solidly built and fast. There were no specs other than ‘over 20MP’, since different versions of the camera were still being tested. My own thought is that if several versions are still in test, then actual shipping of any camera is not that close. Maybe we’ll see something in time for ‘The Photography Show’ in Birmingham, UK, from Saturday 1st to Tuesday 4th March (replacing what was ‘Focus’ ). BTW It’s been suggested that Nikon’s D4s pre-announcement was only because loads of D4s bodies would be seen at the Olympics anyway, so why not announce in your own time. 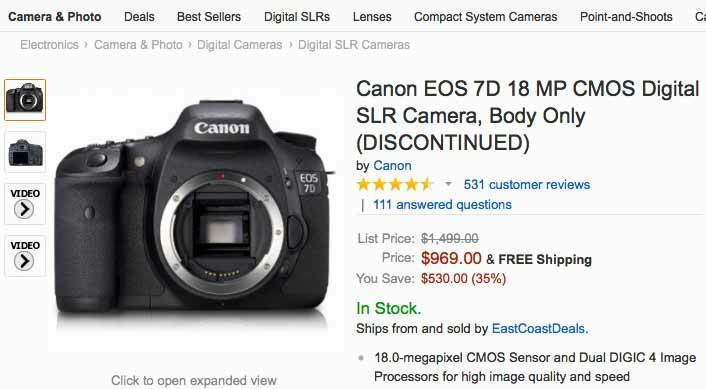 26th We’re hearing more reports of price drops on the 7D and it not appearing in some price lists. New sensor variant along with AF related to a new 1 series body… also WiFi, GPS and a big LCD. There is a suggestion [CR] that the 7D2 (Q2 2014) will be much more heavily video oriented and have a different sensor to the 70D. Experience tells me that rumours for six months off deserve the CR1 rating in the link above. The video aspect does go along with what we were told a while ago about a real push for video, but Canon will happily cripple lower models so as not to tread on the toes of more expensive products, so maybe the 7D2 is waiting for updates in the EOS video range? Looks to be broadly similar to what’s been doing the rounds of late, although thats mostly been assuming a derivative of Canon’s new 20MP dual pixel design. BTW, I’ve just published a discussion about the recent fall in DSLR camera sales and what it might portend for people’s photography: Camera sales fall – why do you still take photos? 7th We’re told (thanks) that the 7D2 will be using a derivative of the new dual pixel AF 70D sensor, that is optimised for high speed readout and video image quality. The specs are said to be very close to what was sent in March, with the main changes brought about through experience with getting the 70D to market. 29th Canon press event scheduled for Weds. 21st August in the US [PB] – new EOS-M is top of the list though. 10th Almost on cue, some Nikon D400 rumours appear, with a suggested August/September announcement. 9th Further 7D2 info at CR also puts the camera back into 2014, with possibly a 24MP sensor or the new 20MP design. 7th In a follow up from the info the other day, we’re told (thanks) that the 7D replacement will also introduce aspects of a new (non-liveview) AF system, that will subsequently feature in the 1DX replacement. At the moment I’m still waiting for any confirmation – so take this current ‘burst’ of info with a suitable pinch of salt! 5th After the 70D announcement, we’ve been told (thanks) that there will be no 7D2 announcement until well after the 70D starts to ship in quantity, and that if there is no sign of a D400 from Nikon, it may not appear until early next year. The new sensor has a lot of additional functionality which will appear right across [source’s emphasis] the Canon range in due course, but not until manufacturing yeilds are up, particularly in FF. Any more info – please let me know? We’ve never divulged a source since setting up these rumour pages up nearly 10 years ago! 31st It seems that there are at last some Nikon D400 rumours again – why mention that here? Well, it’s suggested that Nikon are waiting for the 7D mk2 – slated for September, but possibly a 2014 camera. As yet, we’ve heard no similar concerns, both the 7D and 60D are still in rebate schemes. 28th In what we’re told is info from a test camera [thanks] it seems that Canon will continue with its more modest megapixel numbers. The body was similar in size and weight to the current 7D but felt ‘more solid’. If it’s a test camera, then software features are likely to be incomplete, but the physical design aspects are less likely to change. Not from a well known source, so I’m still looking for confirmation of different aspects. 21st The 7D2 was pretty low on the list of expected DSLRs for today’s announcement, but the use of Digic5 in the 700D and 100D whilst Digic 6 appears in two Powershots, suggests that there may well be a desire to clearly differentiate any upcoming 70D and 7D2. 21st Time to tick the D7100 off the predictions list – it’s arrived at 24.1MP, and dispenses with the low pass anti aliasing filter normally found on sensors. Overall it’s perhaps not a huge jump, given the extended lifetime of the D7000. Where does this put any D400 and the relative position of a 7D2? The move down-market for ‘no filter’ (from the D800E) suggests that image processing software has got powerful enough to cope with any most aliasing problems. At the moment, I’d expect a 70D to appear before the new 7D2, but I’ve seen nothing very firm on this as yet. 19th At Pentax forums [PF], there’s a supposed copy of a page from Japanese magazine “Camera Japan”, there’s a slew of ‘predictions’ for 2013 Canon 70D for March, 700D for June, EOS Me for July, 7D Mk2 for August ad an EOS 3Dfor October.Quite a collection ;-) Picture on main rumours page. Autumn timing ties in with the only mentions we’ve seen over the last few weeks. …and in non rumour news, I’ve just finished a new article about how I go about various aspects of my landscape photography : Making a picture – from idea to print – hope it’s of some interest. 27th A suggested ‘roadmap’ (see general rumours page) suggests 3 DSLRs and several lenses for 2013 – product age would suggest both a 7D2 and 70D, whilst the 650D will be a year old by June. Shortages of the 60D and the need to position any 70D well ahead of a new Rebel (aka 700D) might suggest the 70D first. The new firmware of the 7D last year, could give it enough life to last unil the autumn – although a prompt D400 from Nikon might shift that forward somewhat. 24th Maybe no 7D mk2 for a while? There’s a Canon interview at DC Watch which probably suggests that it won’t be along for a while. Have a read of a Google translation and see what you think? However, something like the 7D2 is big enough to get its own launch event (the shows are not seen as important as they once were). 28th Two different new sources (so definitely usual caveats) both say that a replacement for the 7D will ship this year. #2 – The 7D Mk2 will debut the Digic 6 processor later in the Spring, designed for a new range of sensors, at ‘over 20 MP’ which will also be found in a 3D at ~50MP later in 2013 or early 2014. If I add to this the new source at [CR] pointing to a new Cinema EOS body in 2013 – smaller (7D2 based?) then either someone has been busy sending out emails to us, or there really are going to be some big developments in the high end APS-C segment. The 6D is aimed at a proportion of the 7D market, giving more flexibility in upping the 7Dmk2 specifications (and price). The current 7D will continue for some time and surplant the 60D, when the 700D comes along with increased specifications. 8th We’re told (thanks) that the 7D mk2 will be announced before CP+ in Japan (31 Jan – 3 Feb) and possibly during PMA at CES. It was suggested that this might be the same time as the 700D, but that was more likely later in the year. Unlike previous comments, it was suggested that there would be no 70D for quite some time (if at all), with the current 7D being continued, at reduced price, to target the 60D market. This was partly to see the effects of the 6D and worldwide market for full frame. 10 fps was an important ‘feature target’ and current testing feedback pointed to a sensor of ‘no more’ than 25MP. 23rd An updated sensor design for the whole 7 series (7/70/700) is suggested for next year – details on the 3D page – also explaining the delayed 7D mk2. 19th In an interesting comment, we’re told [thanks] that a 7Dmk2 is on its way and that it is firmly aimed at providing a high specification crop camera. 24MP – an all new sensor with phase AF on chip and noticeably lower noise than the current 18MP. This is the first 7D2 info I’ve seen for a while, so I’m still wary, particularly with how it fits in with Canon’s recent 7D firmware upgrade. 9th The 7D gets its updated firmware, probably making any replacement less likely this year. In addition, we’re hearing of a ‘6D‘ full frame camera that looks pretty much like a 7D at first glance. I don’t currently think that Canon is going to give up on a higher end APS-C DSLR, but I’m expecting a bit of a shake up in their range over the next year, with the currently 3 year old 7D and 2 year old 60D looking a bit ancient by the time the 650D is replaced by the 700D next year. If they are happy with killing off the 1Ds line and APS-H sensor at the top end, then prospects for a 7D2 are mixed. 25th At CR there are suggestions for three more Canon DSLR announcements by the end of this year. We’re hearing more details of high and low spec full frame models (3D and 6D) but nothing as yet for an APS-C DSLR. The 7D was announced at the start of September 2009, a non photokina year. 5th With new firmware on its way for the 7D in August, there are suddenly a number of price drops appearing for the 7D. The manual for the 7D has been updated for the new firmware features. Where does this leave a replacement? As yet still no firm (or even vague) specs have been seen, so I’m minded to think that it may be while until we see anything. 8th Canon announce that new 7D firmware is on its way – presumably to make it stand out from the new 650D somewhat? The 650D is released, still at 18MP, but improvements all around, that make the 7D look less competitive. As the EOS DSLR timeline below shows, the 7D dates from 2009, so a Photokina related announcement looks more likely (or less? with that later firmware pre-announcement). 23rd Suggestions (thanks) that the 7D replacement is going to move upmarket in specifications. In particular, the build quality, sealing, AF and frame rates are going to be pushed much more to ‘pro’ levels. Test bodies are apparently being widly tested in sports and wildlife areas. However, specs are still not set, suggesting a camera that’s still some time off. The downside would be that it would come in at a slightly higher price point than the 7D, making room for greater 650D/70D differentiation. 26th Several comments received (thanks) pointing to the 7D2 and ‘Mirrorless’ being the key new Canon cameras on show at Photokina this Autumn – still no details though. There was a suggestion that with still no sign af a D400 from Nikon, Canon felt no need to hurry. 2nd The 5D3 is launched, and incorporates a lot of 7D features. What does this point to in the 7D2? I’ve heard suggestions that the 7D will be pushed upmarket in similar ways to the 5D3 (weathersealing, FPS and AF) making more room for the 70D. However, I’ve still not seen any firm rumours about the replacement for the 7D. The 600D is probably next up for replacement (650D), with the 7D (a 2009 camera) a good bet for replacement by photokina later this year. New improved AF and better video both seem a given, although with Canon’s recent step back from the megapixel wars, a more modest increase in MP (20MP?) is quite feasible – the 650D should offer the biggest clues in this respect – who knows, maybe the 7D2 will appear before the 650D? 28th We’re told (thanks) that the 7D replacement is slated to be ‘one of’ photokina’s star products for Canon – also to expect a 5D2 replacement ‘in our hands’ for the summer. If you look at the Canon timeline below, you can see that the 5D2 and 7D are now Canon’s oldest cameras by a margin. 3rd There is still the possibility of a ‘Pro 1.6 crop’ camera. If you read through the Japanese interview with the 1D X developers [DCW , Google xlt] you will see that Canon are watching the market and don’t rule it out. It’s worth noting that it takes quite some effort to read through the Google translation, but it covers things like who the 1D X was aimed at and why a high MP FF camera (and MF too) are not yet ruled out. For example: we’ve recently had it suggested that the 7D2 will be FF (this year) and the 70D will move to take the current ‘position’ of the 7D(in March 2012). I have difficulty with this one given Canon’s model history, and their preference for evolutionary changes in model features. The 7D sells well and I can see it moving even more into the higher end, but as a crop camera. 6th We’ve long thought of the 7D replacement as a possible 2012 camera, but there have been very few mentions of it to date. However with no sign yet of replacements for the 5D2 or the even older 1Ds3, along with potential delays after events in Japan, we’ve recently had a suggestion of early 2013. 27th Although mentioned as EOS 8D predictions [DPW], it’s probably better seen as a 7D mark2 wishlist, although I don’t see any great likelihood of the MP count dropping in a new camera, or any update until the 1Ds3 and 5D2 have been superceded. 3rd A suggestion (thanks) that the 7D mark2 will appear in the first half of next year, so as to distance it from the 550D/60D and be the first crop camera to break 20MP. Seems reasonable, but we’ve had no solid 7Dmk2 info, suggesting it’s still quite some time off – Above, a rough timeline for estimating how long a camera has been around. In some lens info we had last year, the design target for new Canon L glass was 50-65MP FF sensors. I still expect to see this pixel density reached first (in a DSLR) in the 7D Mk2. 2nd OK, in true rumourland tradition we start the page for the EOS 7D mk2, the 7D replacement. As, you’d expect, there is nothing here yet, so go out and take some photos!